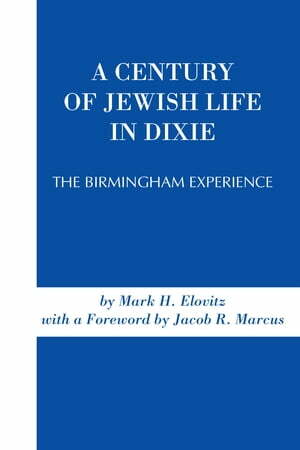 Collins Booksellers - A Century of Jewish Life In Dixie by Mark H. Elovitz, 9780817391270. Buy this book online. First published in 1973, Elovitz provides the first substantial history of the Jews in the industrial south, starting with the establishment of the Jewish community in Birmingham, Alabama, during Reconstruction and continuing through the 1970s.